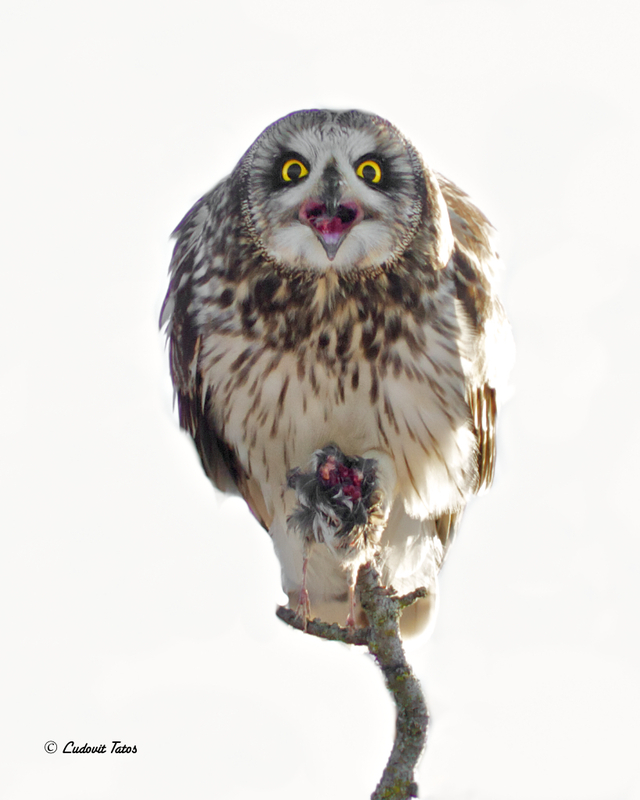 Who said that SE-Owl only have to eat voles. This owl caught a bird right in front of me. Bite the head of, pulled some feathers, ate the legs and then whole body. Owl was saying to me "No soup for you"
1/400, ISO-500, f/9 on tripod. Last edited by Mako_Elite on Tue Feb 05, 2019 10:58 am, edited 1 time in total. Yikes! Impressive catch. You certainly caught an amazing moment! Great moment of action captured here. Amazing, super capture! Just a note, the short-eareds that live in the Galapogos go after petrels as their main food source. Very cool birds for sure. Brilliant capture Ludo. wonderful sighting! A wonderful moment captured, Ludo. The facial expression and eye contact are simply amazing. Amazing rare behavior well captured. Excellent behavioral image. Love the head on-open mouth pose/comp.